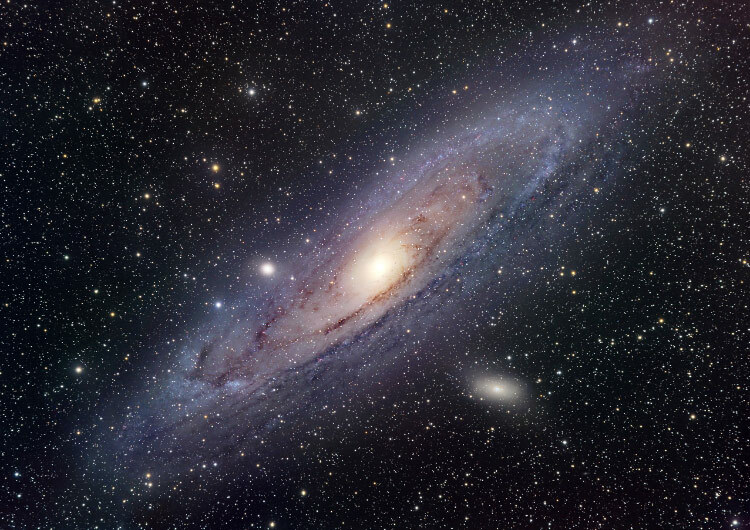 The famous Andromeda galaxy (M 31) is our nearest large neighbor galaxy, forming the Local Group of galaxies together with its companions (including interacting M 32 and M 110, two bright dwarf elliptical galaxies), our Milky Way and its companions, M33, and others. 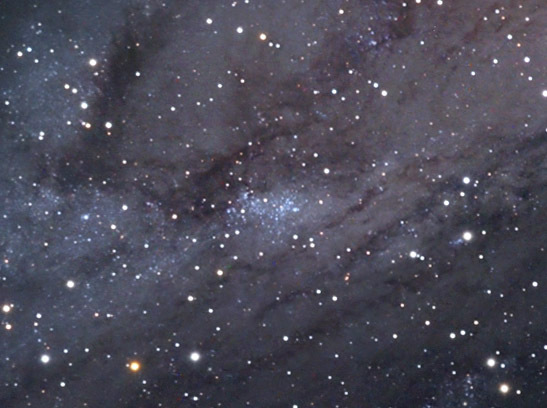 Below you see a 100% crop on the star forming region NGC 206. 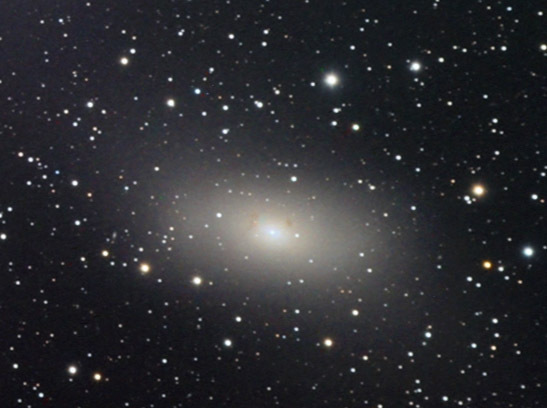 Even below there is a 100% crop on M110 with some details in the core.